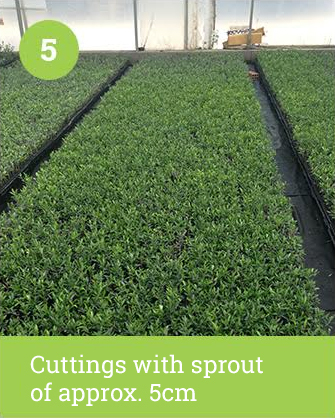 The plant comes from our fields of mother plants, or from trusted farmers, to guarantee the origin of the variety and its high quality. 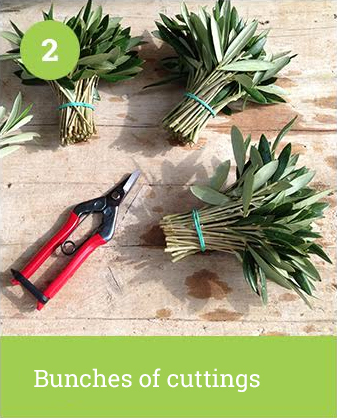 Bunches of 100 cuttings which have been cut meticulously. 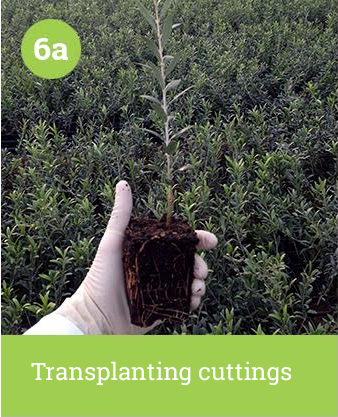 Cuttings planted in trays of 240 alveoli and paper pots. 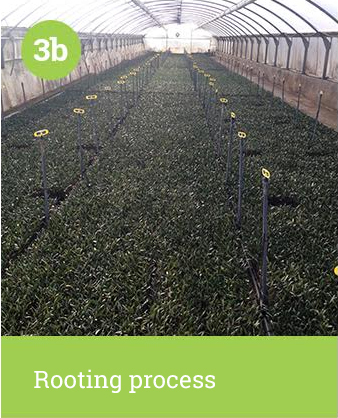 Rooting process: Rigorous humidity and temperature control in 5 nebulisation greenhouses. 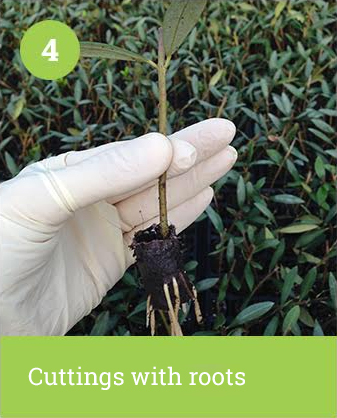 We produce 3 million rooted cuttings per year. 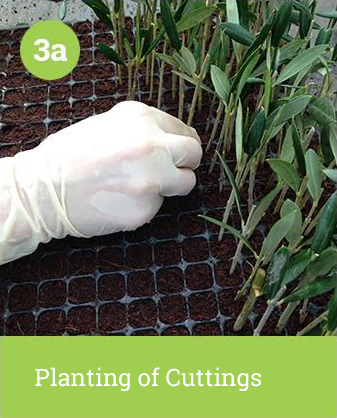 Planting of rooted cuttings in trays of 104 alveoli until they produce 5cm sprouts. 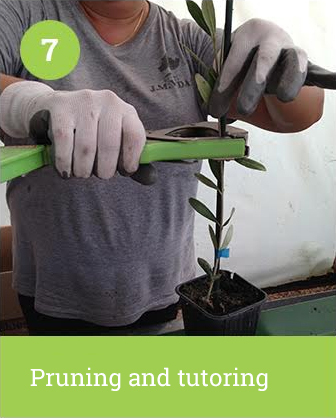 Transplanting rooted and sprouting cuttings in pots. 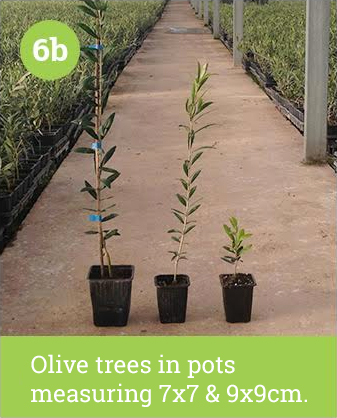 The olive trees are presented in a single cut and if the conditions of the ground are favourable, they can be immediately planted when they measure 25-30cm height onwards. 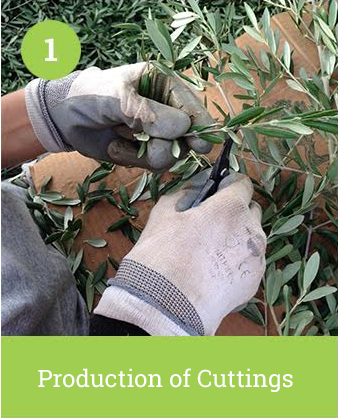 When the olive trees measure about 40-50cm high, they are pruned to a single cut, until they measure about 70-80cm.